Lisa Opie is the Director of Factual for BBC Studios, the BBC’s commercial TV production arm that creates many of the UK's most successful shows, including Planet Earth II, Strictly Come Dancing, Doctor Who and Top Gear. Lisa leads BBC Studios' factual teams, working with the creative leads, production management and business teams to enable BBC Studios to deliver and grow its world-class content, across Natural History, Science, History, Arts, Documentaries, Features and Daytime. Its factual programmes, such as Springwatch, Horizon, Child of Our Time, Stargazing Live, Imagine, Jane Austen: Behind Closed Doors, Life and Death Row, Louis Theroux, The Met and Murdered for Being Different are renowned for their quality and loved by audiences in the UK and around the globe. Lisa was previously Controller of Business for Factual and Daytime, responsible for all business activities across Factual and Daytime from production management through to business affairs and commercial strategy, working with both independent production companies and BBC in-house production. Before joining the BBC in 2013, Lisa was Managing Director of Two Four Digital, where she helped create digital channels and content for brands, broadcasters and businesses keen to engage audiences on multiple platforms. 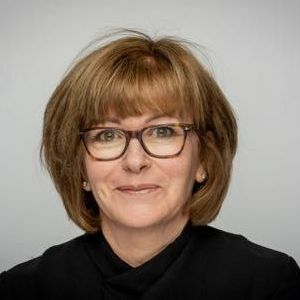 Previously she was Managing Director of Content at Channel Five, responsible for the creative and editorial strategy for Five’s family of channels, and Managing Director of Flextech Television, a former partner with the BBC in UKTV.